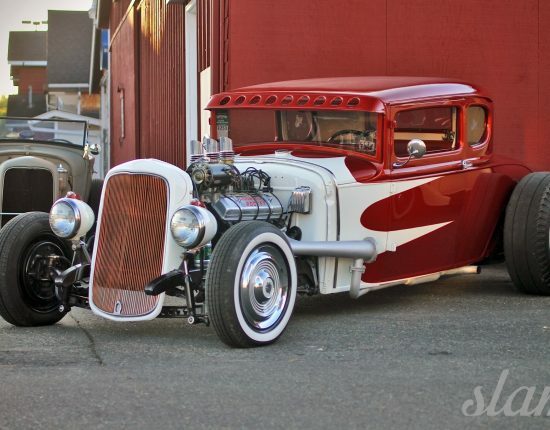 Next ArticleCamp-N-Drag 2014 - Get Your Camp On! Growing up in the custom car and truck scene caused Eric Livingston to get bitten by the custom bug quite early on. Eric, as most car guys do, started out playing with matchbox cars and hot wheels at a very young age. As he grew up the toy cars faded away and the the drag strip became the place to be on the weekends. 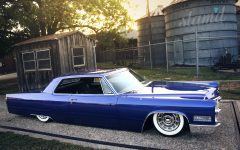 Eric’s fond memories along with attending shows, such as the Autorama with his Pops, are definitely just a few of the reasons you see this beautiful 1966 Cadillac laid out before you. Eric is one of those guys that has had way too many custom vehicles through the years to even list them all here. 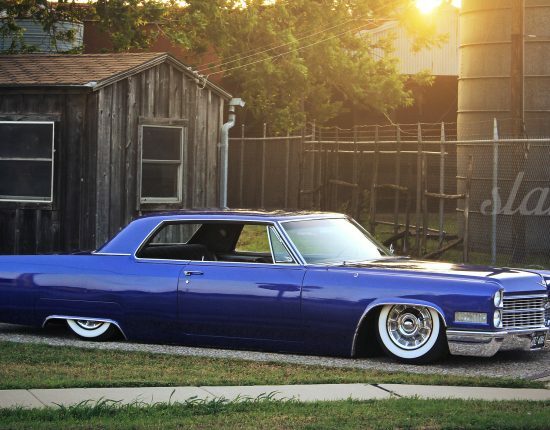 When it came time to pull out the big guns and build a sick Cadillac to check off that ever growing “must build list” Eric was definitely equipped to do battle. 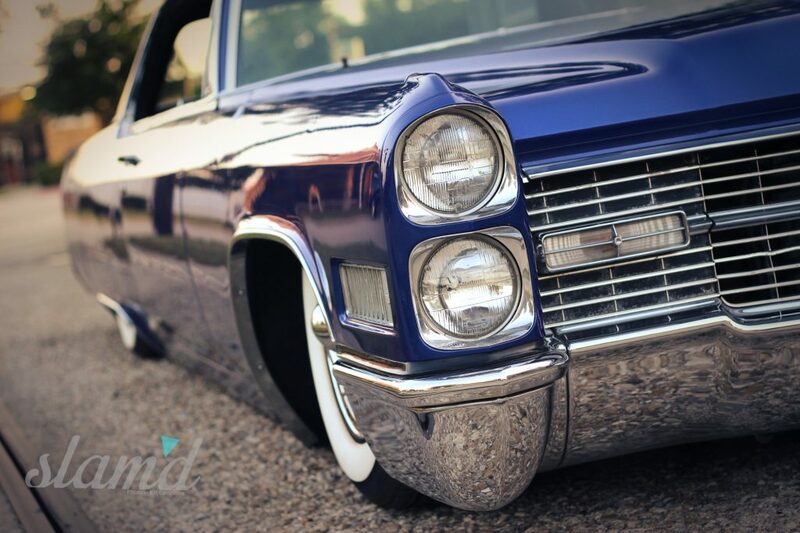 Since Eric is no stranger to custom rides, he decided to pick up this Cadillac from close friends Curt and Leanne Hall, owners of Bender Auto Body. 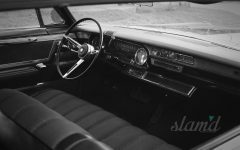 At the time Eric had a 2-door 1959 Buick as his weekend cruiser but the right buyer came along and offered up a deal that he just couldn’t refuse. Letting the Buick go gave way to a fist full of cash burning a hole in his pocket, so Eric did what any self respecting car guy would do – he went out and bought more cars! 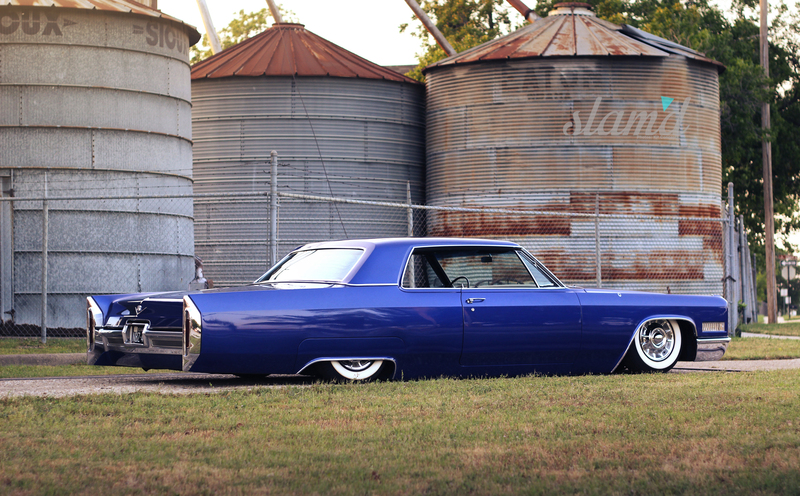 When Curt decided to sell this all original 1966 ‘Lac Eric knew it had to be his. A plan was devised to switch up the look of this classic car by completely repainting it a new color within a few short weeks. Curt agreed to take on the paint and restoration job so that when the car was delivered, it would also have a completely fresh look. Once the Ultrasonic Blue Mica color was selected Curt and his crew at Bender got to work. Lets not forget that this is a long car so to tackle this feat in such a short amount of time is no drop in the bucket. 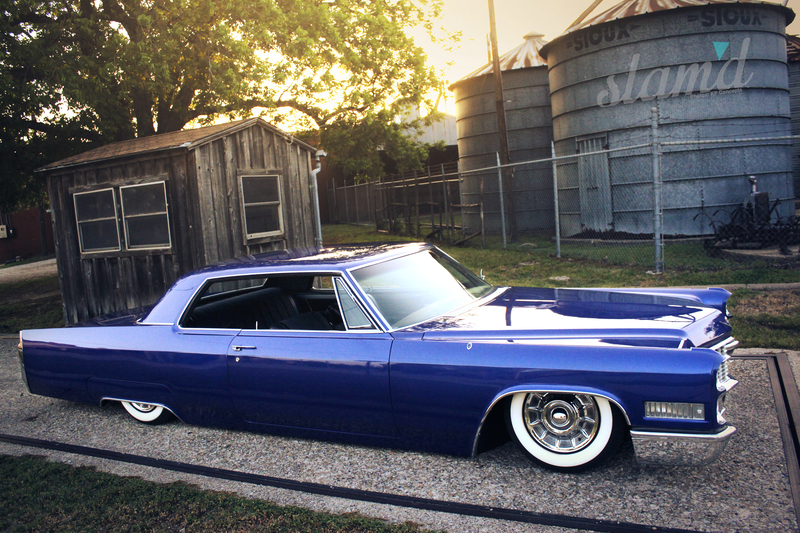 However, the flawless body and paint work sure paid off – in a few short weeks the ’66 was completely transformed. Eric was beyond stoked to see his car delivered at Lonestar Throwdown and sporting the new color. 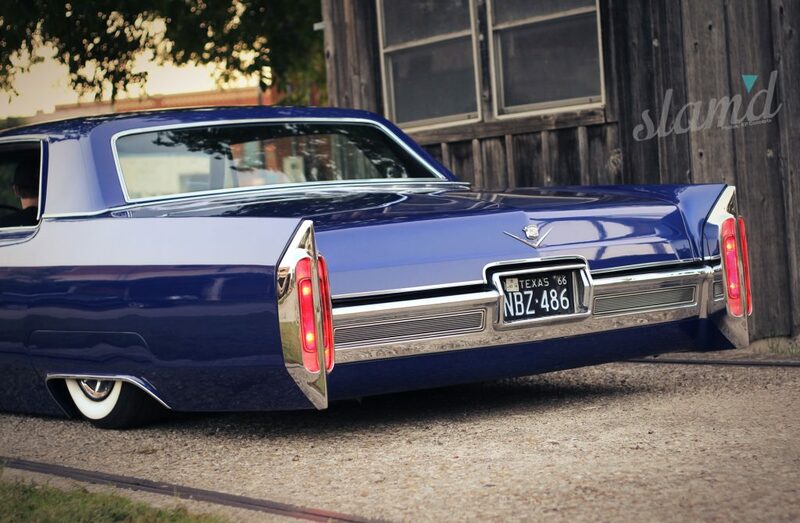 One of the few mods is the shaved rear Cadillac script and side emblems. Not content with just settling at the new paint job, Eric had some more tricks up his sleeve. 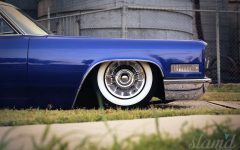 After a couple of shows passed Eric decided he wanted to revamp the air setup in the Caddy, which included a new notch, driveshaft tunnel, Universal Joint, shock setup and air management components. Eric and his buddy got to work and tackled the job in two weekends flat! 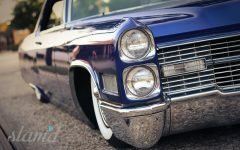 For rolling attire the 15-inch steel Cadillac wheels were powder coated black along with newly restored hubcaps and 3.25-inch whitewalls were added for that classic yet custom look. Airlift 2600 bags were used at all four corners to give the car the adjustment and supple ride he was after. 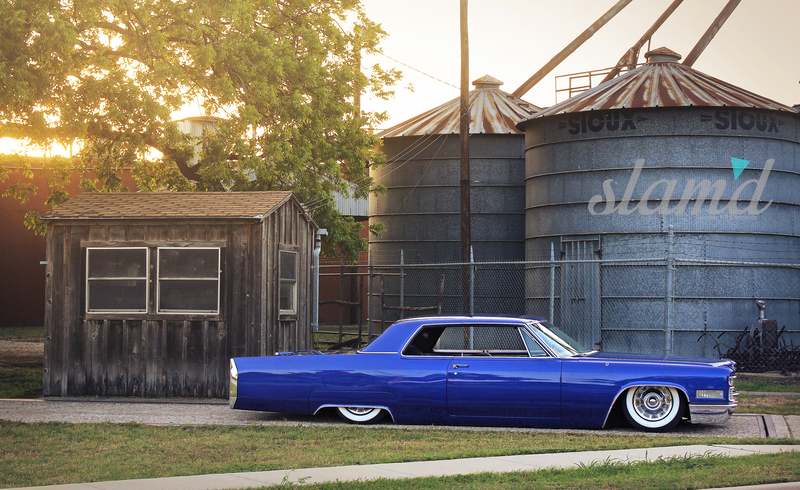 Finally, Eric was more than content with the setup on his ’66 Cadillac. When it came time for engine mods the plan was simple. Clean up the factory 429 big-block and add a custom exhaust to bring things to life. Gentry’s in Denton Texas took care of the exhaust work and Eric cleaned up the engine bay to his liking. 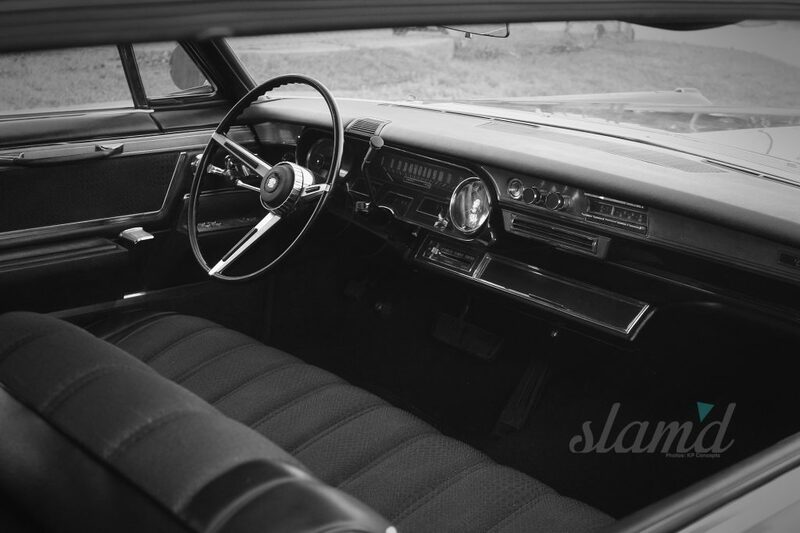 As for the interior, well this is another area that Detroit definitely got right with this classic! Eric’s thought process was “why change up what was already bitchin’ and well done?” Everything down to the head unit is original, and we can’t say that we disagree with his decision as the original interior is in amazing shape for being almost half a century old. Some say that Detroit has lost it’s styling edge with the new cars rolling out of the factories these days. 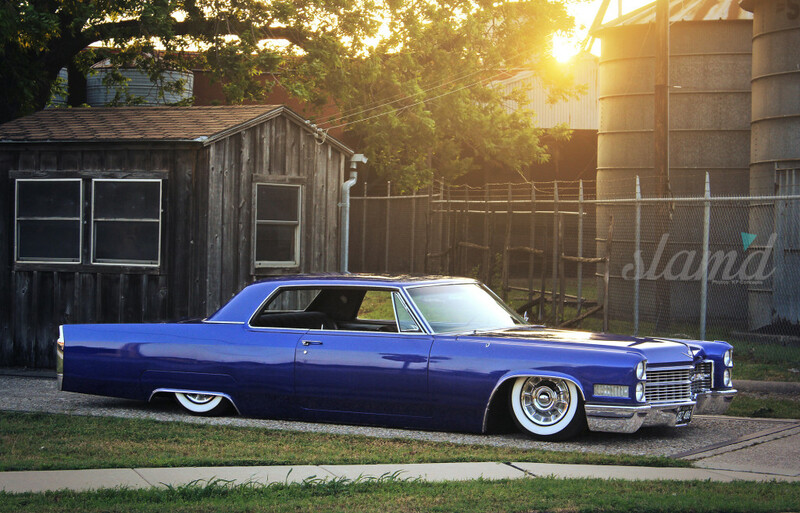 It is pretty hard to argue that when looking at such a classic beauty as this Cadillac. But a badass build certainly wouldn’t be possible without the help of some good friends. Eric would like to thank Curt and Leanna Hall, Bender Auto Body, Brandon and Bob Ellison at ABC Automotive and Wheel Repair Solutions. 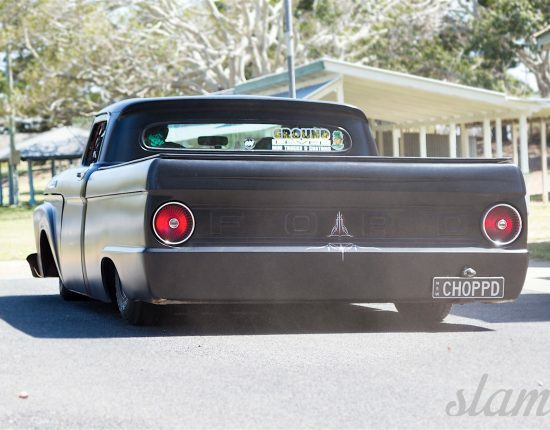 When asked what Eric likes best about the car he simply said “the big chrome front end being so low to the ground” and of course, you know that here at Slam’d Mag we couldn’t agree more!